Melissa Harris-Perry remembers every hairstyle she's ever had in her entire life. Do you? As the biracial child of a white mother and black father, Harris-Perry writes that her mom took extra special care to learn how to prepare her daughter's coils. But once she went away to college at Wake Forest University, she was surrounded with other black women who each had their own hair story, and she was fascinated by the range and options she discovered. 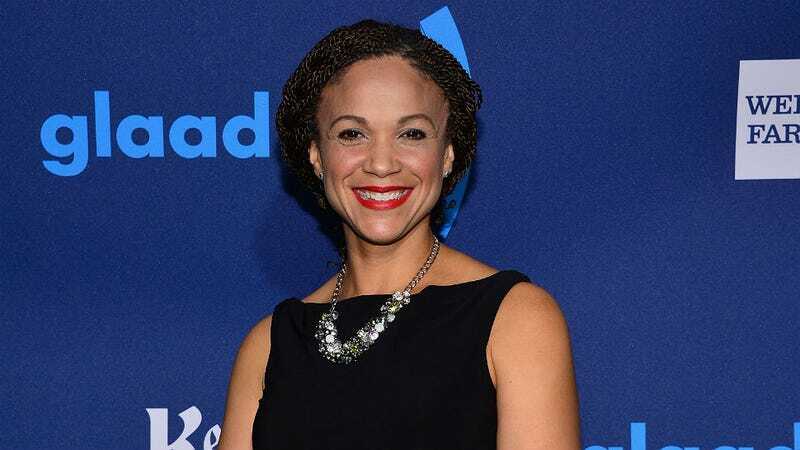 The MSNBC host and Tulane professor has had a perm, an afro, and braids, swapping out each style depending on her life's schedule or access to electricity. As she writes in this excerpt from Hair Story: Untangling The Roots of Black Hair in America, after enduring Hurricane Fran, which left her without power for one week, Harris-Perry decided she had to "disaster-proof" her hair. (Been there.) That brought her to braids, which she kept during her early years as a single parent and young college professor. Once she began her MSNBC show in 2012, Harris-Perry felt she had to make a lasting choice, one style that she could commit to for the show's foreseeable future and cement her brand. Thanks to her busy schedule, traveling from New Orleans to New York weekly along with running every day, she chose braids. And while the host says MSNBC brass have never spoken to her about her hair, her viewers do all the time. And it’s kind of funny that I would struggle to remember all the friends I’ve ever had and all the addresses where I’ve lived, but I can, at 40, recall all of my hairstyles over the years and the visceral emotions I had about each of them. It shows how important hair really is. For better or for worse, black hair will always be an evergreen conversation in the African-American community. But as Harris-Perry says, hopefully we black women can mature to the point where no matter what our hair looks like, it doesn't define how we feel about ourselves in a culture that has placed so much weight on our appearance.